Does when we feed as well as what we feed affect the performance of our sports horses? There is little evidence as yet, but there are some strategies that could help maximise performance and maximum recovery after exercise. There is little evidence for how to feed pre-exercise for optimal exercise performance, but current recommendations are to feed concentrates at least 3 hours before exercise, and in a small meal (1 kg or less). The largest meal should be given the night before to help top up liver glycogen levels (but not so much to disturb gut function). Forage should not be withheld, but could be limited to 1% of bodyweight for the final two days up to sprint exercise (only applies to sprint) to reduce gut-fill weight. Some fibrous feed should be offered in the final hour prior to exercise to ensure a good mat in the stomach and potentially reduce the risk of gastric ulcers. Endurance horses should be encouraged to eat forage ad lib up to an event because it acts as a body store of fluid and electrolytes. Ideally feed a concentrate meal with a good protein level (at least 15%) within an hour after exercise, but not until after the horse has cooled down completely. Feeding a protein-rich meal within an hour of hard or extended submaximal exercise provides essential amino acids for protein synthesis in skeletal muscle tissue and may aid muscle repair and regeneration. Post exercise muscle fuel (glycogen) replenishment in horses is slower than that in human athletes and it doesn’t appear it can be rushed. It takes 2-3 days for horses to replenish their muscle glycogen stores after a hard or extended bout of exercise. After exhaustive exercise, it can take up to 3 days to completely replenish muscle glycogen stores. This slow replenishment rate is the reason why horses should always be trained in the ‘hard day, easy day’ regime, and in some cases, ‘hard day, two easy days’. Feeding extra glucose or starch will not increase the rate of replenishment and could increase the risk of a bout of tying up in susceptible horses, especially if the horse in on a rest day. Researchers showed that the only carbohydrate-administering method that increased muscle glycogen replenishment rate was giving glucose intravenously. Giving an oral rehydration solution of electrolytes in water did enhance the rate of glycogen replenishment in a research trial of horses undergoing moderation intensity exercise, when compared to no fluid treatment, so good hydration does seem to be an important factor. It’s possible that the electrolytes in water did not actually boost the muscle glycogen replenishment, but that a dehydrated horse does not replenish muscle glycogen optimally. Higher protein intakes – of around 16% compared to 12% – may aid muscle glycogen replenishment but more research is necessary to confirm this. Certainly the protein content of forage should be considered for optimal performance of sports horses who don’t require maximum amounts of compound concentrate feed. 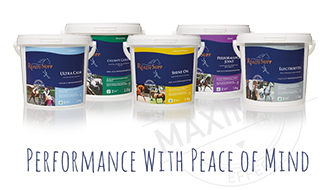 Simply feeding more concentrate will not boost muscle glycogen or its replenishment and if you oversupply energy you will cause an increase in fatness, which is detrimental for sports horses. Excess body fat increases ‘dead’ weight, inhibits heat loss from working muscles, could inhibit lung expansion and puts extra strain on joints. Horses do not respond to the ‘glycogen-loading’ strategies that human athletes undertake (exhaustive exercise followed by an increased carbohydrate intake along with reduction in exercise) and such regimes could in fact be counterproductive to horses. Ensuring optimal muscle glycogen stores pre-competition is good practice and can be done by ensuring only light training 4-5 days prior to competition, along with a good feeding regime. 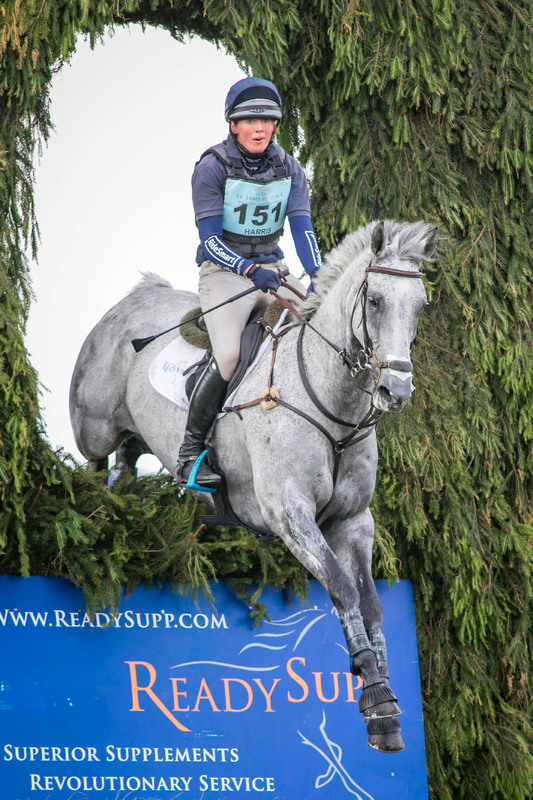 Follow ReadySupp on social media and via our newsletters for useful (and interesting) articles on nutrition, training, events and equestrian news from our experts. ReadySupp Co-Founder Didi Verdina is our ‘training’ expert, she continues to teach in her spare time, competes, and she is qualified to BHSI level (Italian equivalent). Visit our homepage to subscribe. If you have any questions on equine supplements, and want to improve your horse’s health, performance, or attitude give our friendly team a call 01672 541 157 for advice. We won’t try and hard sell you anything – we promise.